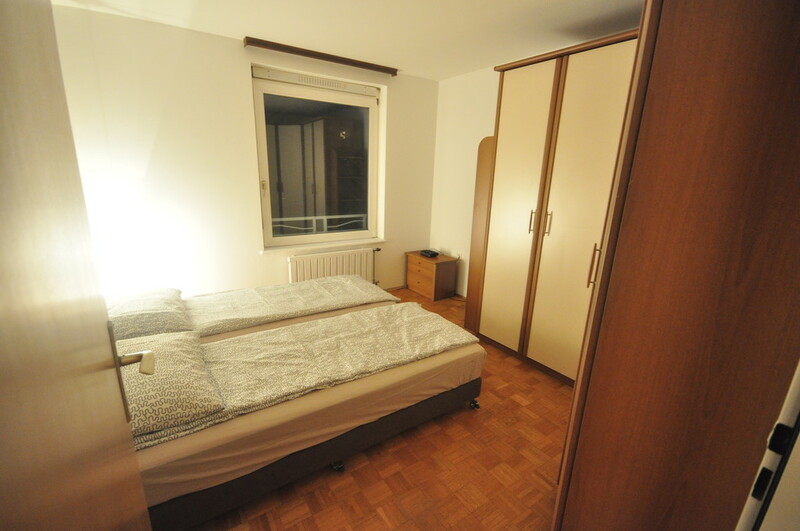 Fully equipped, clean and bright apartment in city center next to main train and bus station (5 min away). 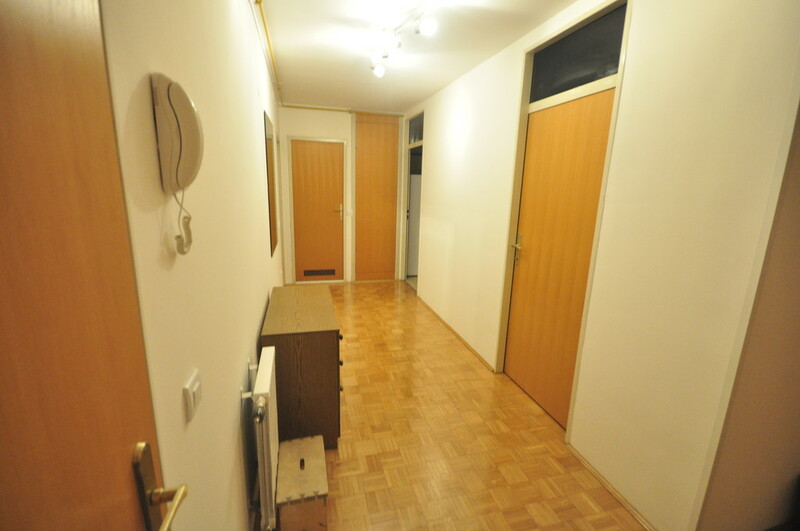 2 rooms, large kitchen, separate toilet and bathroom. Free parking in underground garage. Sleeps up to 4 people – real beds, no couches! 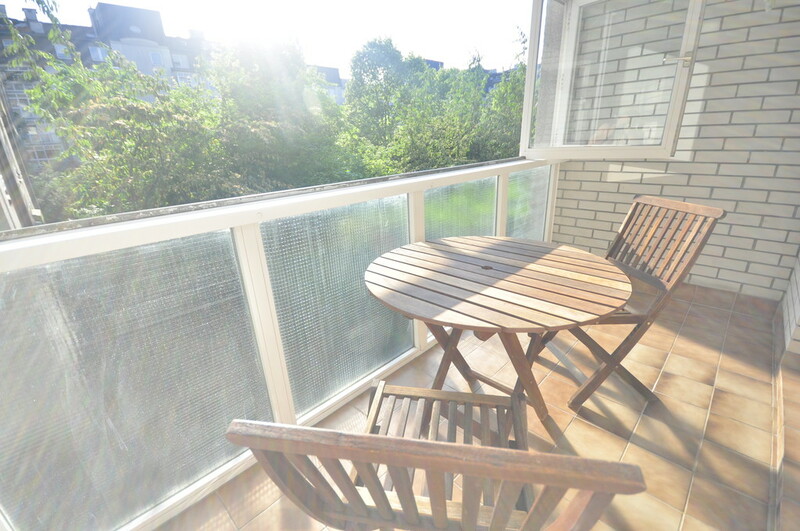 Includes nice balcony to relax. 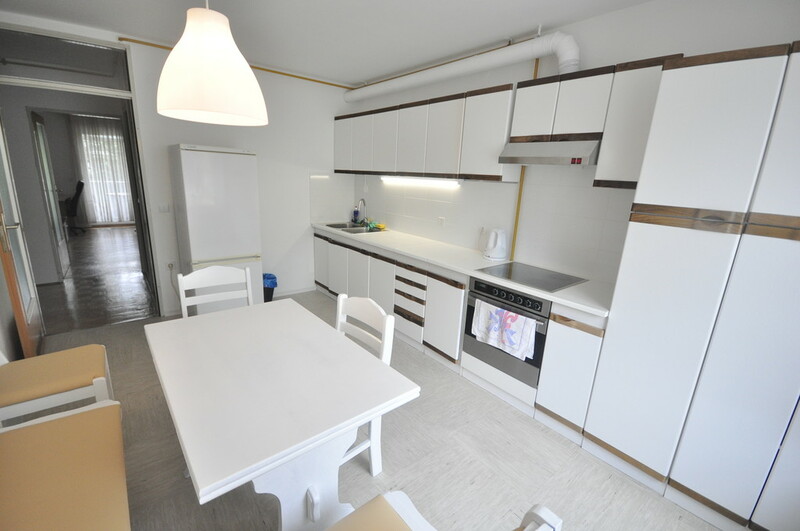 On offer to our guests is a fully equipped, clean and bright apartment with a living space of 60 m2. The apartment has everything you will need to feel at home. Hallway with places to leave your shoes and coats. 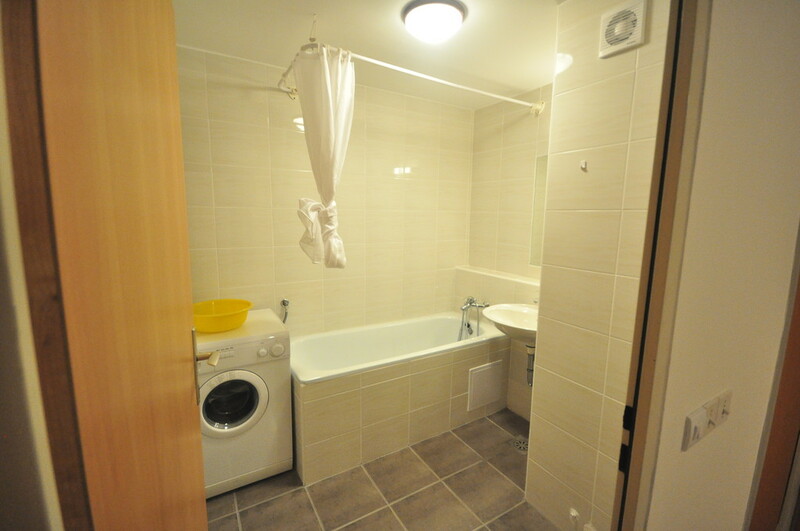 Bathroom with bath, basin and a washing machine. Hot water is always available (building central heating). 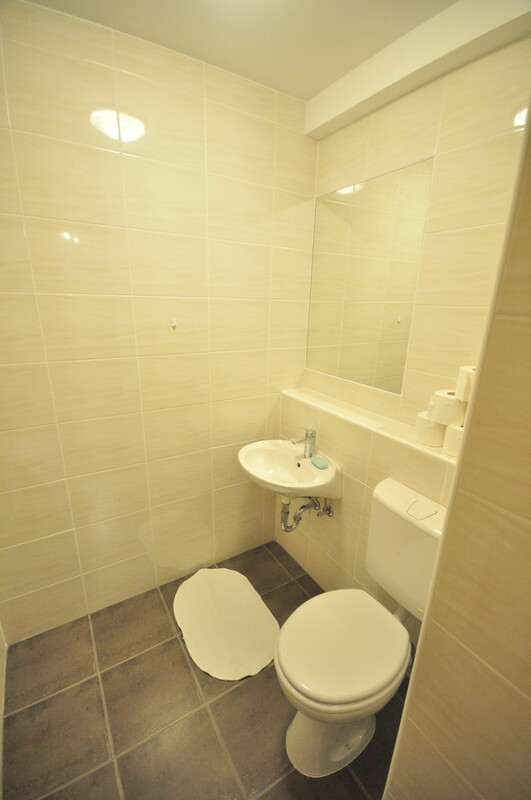 Separate toilet with basin and mirror. Fully furbished kitchen with dining table and seating for 6 people. Kitchen has a 4 heater stove with oven, electric tea kettle and large refrigerator. Large room with flat screen TV and a working table. 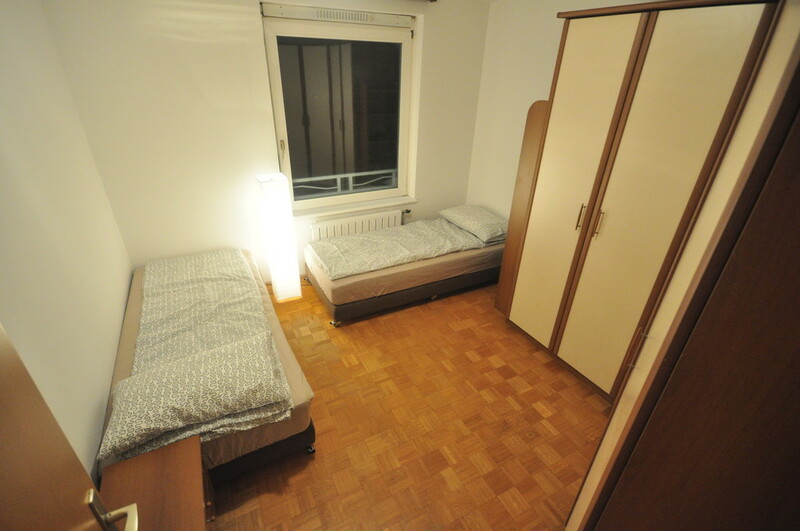 The room has two beds which can be set up as twin, double or a couch arrangement. Two wardrobes are available for clothes. From the large room you can access the balcony which can be closed off with outward windows. Small room with two beds that can be set up in a twin or double arrangement. Available is also a large wardrobe. The apartment also has everything available to do your laundry (washing machine, clothes line on balcony and an ironing table with iron). Parking is available in the secure underground garage with direct access to the apartment. In the city center (10 minutes on foot) to the main square of Ljubljana. Apartment is on quiet location and close proximity to downtown. 100m to bank and to post office, many coffee-bars. The main railway and bus station are within 5 minutes walking distance. 15 minutes on foot to Tivoli Park offers countless sport possibilities and outdoor amenities (tennis, swimming pool, hiking, running). 10 minutes on foot and you will experience the stunning historic city center, bars and restaurants along the River banks, many concerts, performances and other events. 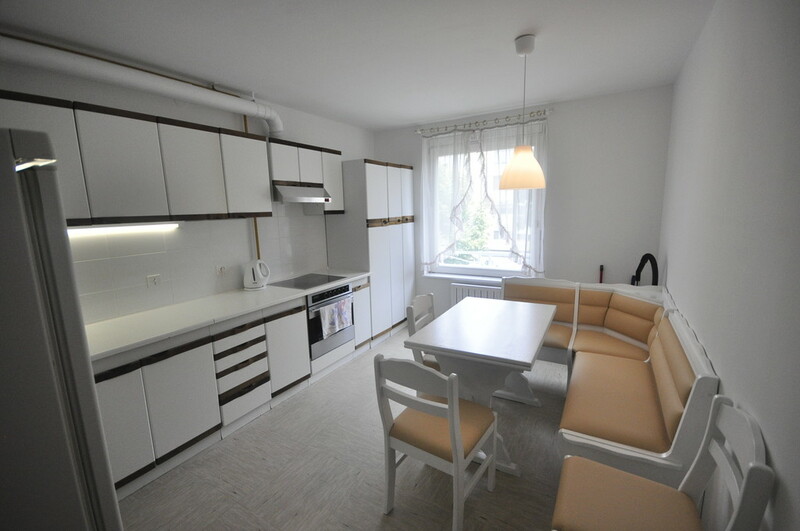 Nearest restaurants and bars are within 100 m.
Main bus and train station are less than 5 min walk away, so this apartment is in an optimal location to travel from using public transport. Close by are a hairdresser, bank, post office,… everything you will need.